Yesterday morning I was on the local radio station here in Sonoma - KSVY 91.3. It was my first time ever on air and it was so much fun! We talked all about ways to improve digestion. I know, I know, "digestion" sounds like a total snooze fest...but hear me out - when you improve the way your body processes the nutrients you are putting in, you free up energy to access all the goodness from the healthy food you are eating. This means that not only will you shed excess lbs., but you'll also, in time, have more radiant and clear skin, shinier hair, stronger nails, and more energy...not boring at all, right?! 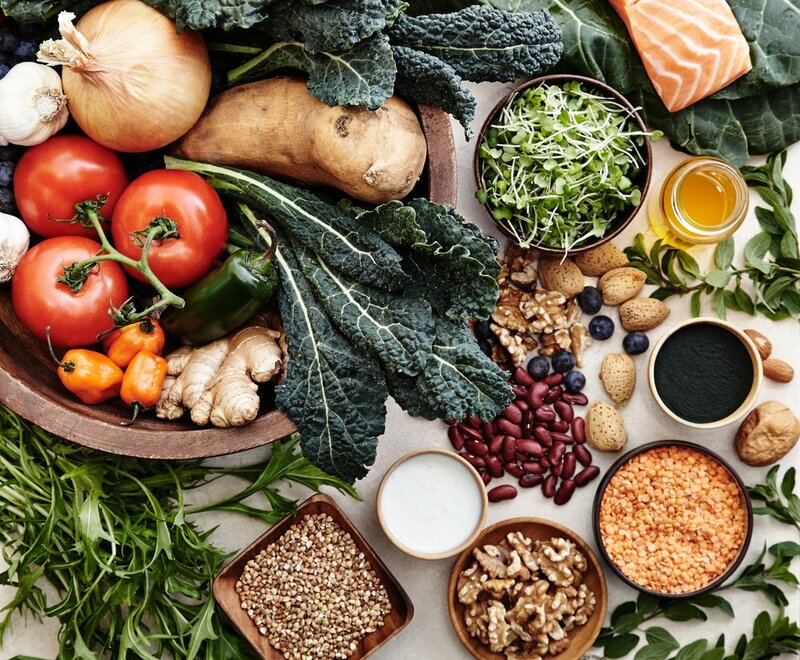 In addition to the aesthetic benefits, freeing up your body's energy by optimizing digestion lets it focus on the important things like fighting the common cold and, over time, even fighting disease. You are what you eat, drink, and think. And the digestion tips we talked about on the radio yesterday fit so well with this sentiment and help me to keep them in mind as I go about my busy days. So today, I wanted to share tips for better digestion and, hence, letting your best self shine through...that don't involve eating less or torturing yourself. These are super simple things you can incorporate immediately, that will have your body thanking you. When you eat certain foods can be as important as the food itself. When I learned about something called "food pairing" I thought it was a bunch of Bologna. That is, until I actually tried it. I read a book called The Beauty Detox Solution by Kimberly Snyder and it started clicking for me. When I put it to the test for myself, I lost weight, ended my late-morning energy slump and hunger pangs, and began to notice more radiant, clear skin. Here's the gist: think of the food you're digesting in speeds. Fruit moves the fastest, vegetables are the next fastest, then starches, then fats and proteins. You want to consider this when eating each meal, and also when you think about the way you eat throughout the day. We have been raised to think fruit is a healthy dessert, but, the truth is, when you put a fruit in your body after eating an entire meal filled with proteins and starches, the fruit sits there last in line for digestion and begins to ferment in your system. This leads to an over-heated (aka cooked) fruit, which means it has lost much of its beauty-inducing power. It can also cause gas! Easy digestion-boosting tip #1: Practice proper food pairing. Fruit is best enjoyed on an empty stomach and at the beginning of the day. Leafy greens and veggies pair with everything - proteins, starches, fruits, and fats. However (this was a surprise to me) proteins and starches are not a good pairing. Many of us have no digestive issues from this pairing that we notice, but something you should be aware of. And if your system is sensitive, a great thing to do is to only have protein or starch at each meal and along with lots of veggies. For example, at lunch I try to do a big salad or soup and either bread or a piece of fish or an egg on top. But the key is not having both the bread and the fish or egg. Also, mixing proteins in one meal is tough on digestion as your body needs to break down each one separately. What's cool about having this knowledge is that you don't have to be perfect or practice it at every meal. But when you understand it, you can do it at most meals and you will notice your body running more efficiently. Easy digestion-boosting tip #2: don't drink water during meals. The reason? When you begin to eat and chew your food, digestive enzymes are released. When you drink a bunch of water during a meal, it interferes with your body's own digestive enzymes, diluting them and making digestion harder on your body and also making the process take longer. Instead of drinking during meals, sip throughout the day. Aim for not drinking water 30 minutes before meals and until 1 hour after. Side note: of course if you're super thirsty, by all means drink a little water during a meal. The key is listening to your body, not following super strict guidelines. Easy digestion-boosting tip #3: drink lemon water first thing in the morning. Yes, that means before your coffee and before eating anything. Not only are lemons full of immune-boosting vitamin C, and alkalizing for the body, the citric acid in lemons stimulates the liver to cleanse and detox. You are basically saying "hey body! It's time to wake up and cleanse!" before putting things in that you're body will need to use a lot of energy to digest. I recommend room temp to hot water (but not scalding or boiling as too high heat will kill some of the benefits in the lemon). Another tip is to pop the entire lemon half into your water after squeezing - the oils in the lemon skin and rind fight oxidative damage and has even been linked to ward off cancer cell growth! It also contains the phytonutrient tangeretin, which has been proven to be effective for brain disorders like Parkinson’s disease. Lemon water is great throughout the day also. 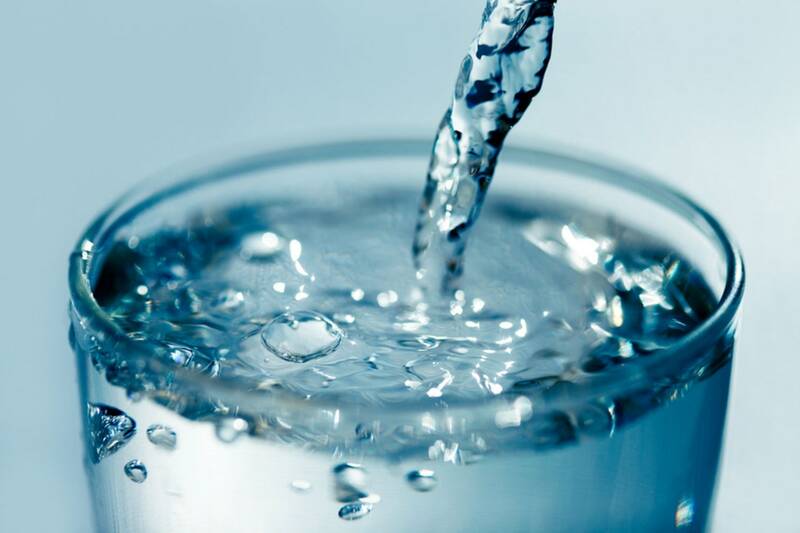 If you are worried about the acid damaging the enamel on your teeth, just swish some plain water after drinking. If you're looking for ways to amp up your water game, other favorites are mint and cucumber. Read more about lemon water and my Pink Greens Daily Detox by clicking here. 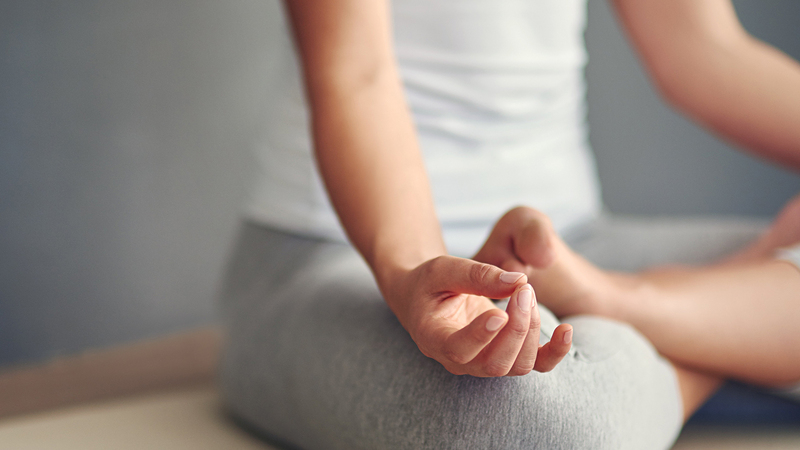 Easy digestion-boosting tip #4: Breathe! This one is super simple. Make sure to take deep breaths throughout the day and especially when eating (i.e. eat with people and not at your desk if possible!). Because oxygen is needed in digestion, breathing helps your body turn food into energy, which means your metabolism can work more efficiently when you make sure to breathe deep, full breaths. Also, breathing signals to your body that you are not in a fight-or-flight response and sends blood and energy to your stomach (to digest), instead of to your muscles, arms and legs as it does in fight-or-flight because you may need to run from a predator! With our modern day stressful lifestyles, we are far too often, unknowingly, in a fight-or-fight mode, which can lead to trouble digesting, weight gain, heart problems, and sickness. Easy digestion-boosting tip #5: Find a workout you actually enjoy. instead of punishing yourself in one you can't stand. There is something out there for all of us. I used to force myself to cardio gym classes I didn't really like and I would run on the treadmill when I despised it. Then I realized, more low-impact workouts made me feel amazing and kept me looking forward to coming back. And, to my surprise, cutting out the cardio didn't make me gain weight. In fact, I ended up loosing weight. My personal faves are yoga, pilates, and barre classes, in addition to walking and hiking outside. In the past, I trained for and ran half marathons, and while I loved them at the time, I no longer do. Be okay with workouts changing in deferent seasons of your life. I also love to mix it up - going to different local studios and trying different teachers. It keeps it fresh and challenging. Finding workouts I love and look forward to is so rewarding, especially after years thinking I had to do workouts I hated. Sometimes I find myself in class wishing it wouldn't end so quickly. I never thought I'd be saying that. What an awesome feeling! When you find workouts and physical activities that you love (being in the great outdoors is another bonus! ), not only are you more inclined to be active, but your internal dialogue changes. How we speak to ourselves is super important. If we switch from working out as a punishment and something we have to do, to a reward and something we want to do because we love ourself, our body, and our healthy, active lifestyle, it changes the very nature of the way we treat ourselves. Obviously the same goes for food - when we look at the food we eat as healthy nourishment that makes us feel amazing, we don't feel deprived or discouraged and instead feel inspired and happy. Mindset is huge! Our perspective is everything. Another huge bonus when you do activities you love - you build a like-minded, positive community. Not only does this help get you out of bed in the morning - your community actually has a directly positive impact on your lifespan - see the Ted Talk by clicking here. And that, my friends, concludes our five easy digestion-boosting tips. I hope these tips have inspired and empowered you to think of ways you can incorporate more health and happiness into your daily life. You deserve it! There are so many simple little things we can do that, together, can have a huge impact on our health and wellness. Try focusing on one of these tips each day for five days, and then try incorporating all of them together on the sixth day. Instead of punishing yourself this January during new years resolution season, have fun with your goals and do it because of the love you have for yourself, your life and feeling amazing! The more you give to you, the more you overflow with love to give to others and to the world.